Republican Florida Rep. Carlos Curbelo spoke about his belief in “second chances” at a press conference in Homestead, Florida, Thursday with a teenage constituent who had threatened to kill him on social media in late October. “I will kill Carlos Curbelo,” wrote Pierre Alejandro Verges-Castro, 19, on Twitter Oct. 24, reported The Miami Herald. The FBI arrested him later that week, according to The Herald. Curbelo and Verges-Castro met for the first time Wednesday before holding the press conference at Homestead Police Department. Verges-Castro did not speak at the news conference because of the ongoing criminal case, reported The Herald. Curbelo connected Verges-Castro’s post to a vitriolic political environment. The teen registered to vote as an Independent in 2016, reported The Herald. He posted the threatening message on the same day that suspicious packages allegedly sent by Cesar Sayoc were found addressed to multiple high-profile Democrats. 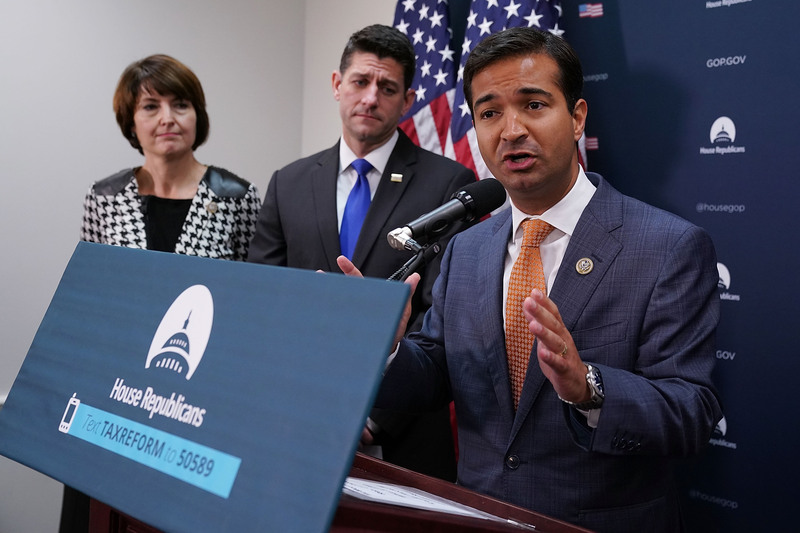 Energy groups had run attack ads on Curbelo in August because of a controversial carbon tax bill he introduced in Congress. Curbelo has represented Florida’s 26th Congressional District since 2015.